Expired Offer as of 11/28/2017: The CashForward card has been expired at this time and is no longer available for new applicants, but you may wish to apply for this $400 Barclaycard Arrival Plus Travel Credit Card Offer instead to earn $400 in free bonus travel credits. The Barclaycard CashForward™ World Mastercard® credit card offers a $200 bonus after $1,000 in purchases within the first 90 days, 1.5% cash back on all purchases with a 5% redemption bonus, and no annual fee. Apply for the Barclaycard CashForward™ World Mastercard® to earn a $200 cash bonus after you spend $1,000 on purchases within the first 90 days after account opening. Get a $200 cash rewards bonus after you spend $1,000 in purchases in the first 90 days after account opening. Redeem your cash rewards for a deposit into a U.S. checking or savings account, a statement credit or gift cards. Redemptions start at $50. Cash rewards do not expire as long as your account is open, active and in good standing. Enjoy a 0% introductory APR for the first 15 months on purchases. Plus, you’ll get a 0% introductory APR for 15 months on balance transfers for each balance transfer made within 45 days of account opening. After that a variable APR will apply, 15.99%, 20.99% or 23.99%, based on your creditworthiness. Please note, there is a fee for balance transfers. You’ll get a $200 cash rewards bonus after you spend $1,000 in purchases within the first 90 days of account opening. You’ll earn unlimited 1.5% cash back rewards on all of your purchases, and your cash rewards will not expire as long as your account is open, active, and in good standing. Every time you redeem your rewards, you’ll receive a 5% redemption bonus to use toward your next redemption, so you’ll get an extra $10 reward after redeeming your initial $200 bonus. You can redeem your cash rewards for a U.S. checking or savings account deposit, a statement credit, or gift cards with redemptions starting at $50. You’ll receive a 0% introductory APR for the first 15 months on purchases that you make with the card. 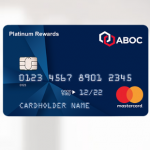 This card also provides a 0% introductory APR on balance transfers for the first 15 months, available on balance transfers made within 45 days of account opening (balance transfer fee is 3%, but not less than $5). After that, a variable APR will apply, currently 15.99%, 20.99% or 23.99%, based on your creditworthiness. Consider the Barclaycard CashForward Credit Card for an easy sign-up bonus and 1.5% rebate on all of your purchases. Sweet deal, just don’t know if previous account holders are eligible for this offer. I can not get in to my E-MAILS. I would care to open an account, but Im having problems receiving my EMAIL on line it possible can you send information to me by mail. PLS!!!!!!!! 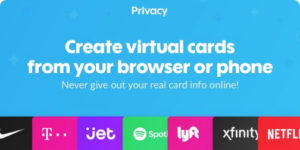 I have not loaded money on my card yet….i just received it in the mail a couple days ago, I don’t think I put in the right code for when I add atleast $50 to get the extra $10. I wanted to know is there any way i could get the code DZPRWE added to the account? Do you know if previous card holders can be eligible to apply and receive this bonus? Good bonus. Thank you for posting this, Max.